To open a film about the life and career of Brian De Palma with a clip from Vertigo is almost too on the nose, like ending the greatest thriller of all time with a doctor clinically diagnosing its killer. Not that the maker of The Untouchables, Dressed To Kill, and two dozen other exercises in obscenely virtuosic style resents the comparison. De Palma, the most divisive of the major directors to emerge from the New Hollywood camp, has spent four decades proudly operating within the iconic silhouette of Alfred Hitchcock. 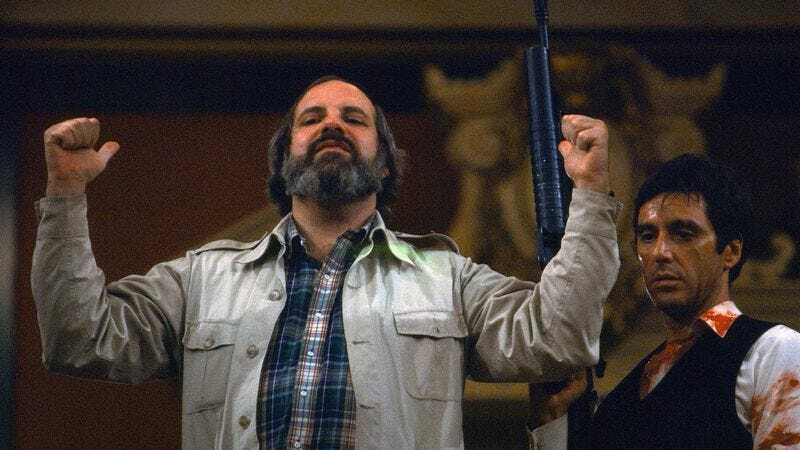 Toward the end of De Palma, an entertaining new documentary companion to his work, the 75-year-old filmmaker even positions himself as a proper heir—the one true disciple to actually build upon Hitch’s lessons, to makeover the master’s approach for a new era. Egotistical? Maybe, though anyone who sits through this feature-length highlight reel—packed with excerpts of stunning set-pieces, all supportive of his claim that a director’s duty is to make the material as visually interesting as possible—may walk out more convinced of his torch bearing than not. At the very least, De Palma comes much closer to capturing the long-form-interview spirit of Hitchcock/Truffaut (1966) than last year’s official documentary on the book did. 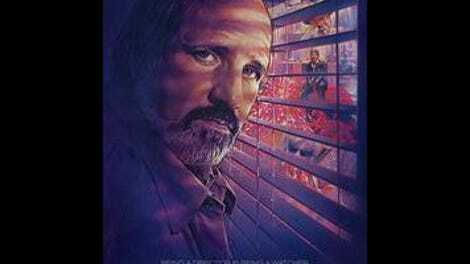 De Palma, like his idol, submits to a complete survey of his filmography, discussing each movie at length and in chronological order, from the shoestring black comedies of his salad days all the way through to the gonzo power games of his recent Passion (whose title works as a neat summary of this project and the career it chronicles). De Palma is just De Palma gabbing for two hours into a camera, and that’s its ultimate limitation, but also its great strength. The director’s candid, reflective, and funny—a dream interview subject, imparting hard-won wisdom and telling juicy behind-the-scenes stories. At times, the movie almost functions like a makeshift film-school seminar, albeit one whose professor has assigned his own textbook: De Palma explains (and De Palma illustrates) the merits of the split diopter shot, while championing long takes as a tool for sustaining emotional beats and CGI as an enemy to craftsmanship. Is it even worth mentioning the name directors coaxing all this conversational gold out of the filmmaker? De Palma has been helmed by none other than Noah Baumbach (Frances Ha, Greenberg) and Jake Paltrow (Young Ones), though you’d never guess as much from the strictly utilitarian, talking-head strategy they adopt here; never once do they even speak from the other side of the lens. There’s a certain irony in a filmmaker this stylish, this obsessed with form, receiving his lionization in a documentary so functionally assembled. Then again, maybe De Palma and his madly, garishly inventive thrillers provide all the personality De Palma needs. Watching a sequential rundown of his greatest hits, all accompanied by some especially lively director’s commentary, it’s easy to imagine De Palma’s shadow engulfing a generation of imitators, the same way Hitchcock’s engulfed him. Will the glorious split-screen climax of Carrie one day serve as its own entryway into a different filmmaker’s oeuvre?